Use our free RSS feeds to add listing of properties, agents, real estate articles and resources to your website or to your favorite RSS viewer. Offered for sale by owner.5 bedroom nearly completed home.Walled and gated on a 120'x 110' plot size . THIS IS A RARE OPPORTUNITY TO ACQUIRE ONE OF THE EARLIER NUBIA VILLAS IN EL GOUNA! CHECK OWNER'S WEBSITE FOR LARGE PICTURE GALLER! 3 bedroomed villa in resort complex of Delta Sharm. Ground floor - Fully equipped Kitchen in arabesque style with Italian marble work surfaces. 1st floor - large hall area, 3 bedrooms - 2 large doubles, one single is large enough for twin. Bathroom with shower. If peace and tranquility in a local setting as well as history and culture are what you desire from a property then villa lostris is the place for you. Villa Lostris is our family home on the East Bank of the Nile situated in the quiet suburbs where farming is carried out as it has been done for thousands of years yet still only a few minutes to the town and temples. El Gouna Villa with large beachfront land area. The 4,000 m2 land has not been developed apart from the main villa, and could house an additional villa, or cluster of guest houses, a large pool, barbeque area etc. The lagoon is good for swimming as it is fed directly by the sea, and can moor a small pleasure craft. Marina In Front Of Coral Reef At Red Sea. A marina at Red Sea is for sale. The marina is placed with view to a coral reef. The building of the marina is with an unique stylish design, but partly finished. The Marina is placed in a bay between Safaga city in the south and Menaville Resort in the north, and in front of the Marina the northern corals of Safaga Island is visible. Situated within a 5 star Resort in Sharm El Sheikh. Access beach and numerous swimming pools, these fantastic apartments are great for a holiday retreat. Located near to Palm Beach hotel and approximately 5 kilometres from Hurghada. Security fencing, 24/7 security staff. Private beach with restaurant. Swimming pool, with bar and fountains. Beautiful gardens, two childrenâ€™s play areas. Food delivery service, cleaners and medical service are available. Private car parking with car wash facilities. 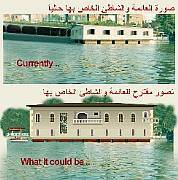 Are you seeking a house boat in the river Nile in the Center of Cairo Egypt? Currently consists of one floor 240 square meters (12X20) with a license for expansion up till 840 square meters (12X35) on two floors. Rent Now Or Built To Order From GB.Â£65,000 Fully Furnished. Reduction for long term rentals of 6 months or more. New Exclusive Villas built to your specifications at Magawish Village. It is an ideal site for a holiday home for your familiy or as a rental property for the many divers for whom the Red Sea is a dream destination. This is not on a complex but a village of Exclusive Private Villas. Ten minutes walk from Mtwapa Creek on the tropical coastline of Kenya. Five minutes drive to the main North Coast road. Eighteen kilometres from the city of Mombasa. Conveniently close to town, but away from the hustle and bustle. Excellent security, developed garden and high hedge affording high level of privacy and security. Luxury Creek Front Villa For Sale In Mtwapa - Kenya. At 5 minutes from shopping centre Nakumatt where you can find all facilities. Kizingoni House is a striking beach front property on Kizingoni Beach. It stands at the southern tip of Lamu Island, on the far end of Shela Beach â€“ famous for its 12 kilometers of wild, untouched sea-shore and ancient sand dunes that have recently been designated part of the Lamu World Heritage Site by UNESCO. A quiet Area (Plot min. 1/2 acre) next to the golfcourse and the Menengaiforest. With a great view of the Lake Nakuru and the Mountains. The one you see is sold. 20 acres of unspoiled wooded grassland and bush freely adjoining a National Reserve including a substantial stand of indigeneous forest with many rare and valuable trees. Elephants, Buffaloes and many other wild life species abound. Bird life is prolific. The house has beside of the bedrooms also an office room or baby room. Its near an area with hotels in a quiet surrounding. The house situated in a compound with several houses(The all compound is fenced). A Must See Won't Last! This beautiful four bedroom bungalow nestles on more than 1 acre of landscaped land in the lush, prestigious and environmentally friendly Themi Hill in the tourist town of Arusha, Tanzania. A beautiful home constructed from natural rock and other indigenous materials. Located on a slight rise overlooking 5 acres of mature garden. Wonderful views of Mt Meru to the West and Kilimanjaro to the East as well as the Maasai plains in the South. The home has big double doors in the master bedroom, kitchen and living room all opening out to the garden and large covered verandahs. 5 bedrooms with spectacular views of the ocean and skyline, each equipped with private bathroom and private terrace. Three bedrooms located on top floor of villa. Escapes2 is proud to present this exclusive luxury complex. Morocco is THE up and coming property investment hot spot with prices expected to double over the next 3-4 years. This is the result of the Moroccan goverment's aim to quintiple its tourist numbers during the course of this decade, and to deliver the infrastructure improvements to support this growth and the international investment that will be generated. The Asilah Beach Resort Phase 2 Pre-Release is a brand new, beach front, development being released in north Morocco. Prices start from as little as Â£31,51 with low deposits of Â£12,604 and the balance on completion. We can arrange a mortgage, subject to status, if necessary. Dar Hamra,Tangier-Morocco. Beautiful Villa Next To Golf. Dar Hamra is located in a very quiet area (but only 5 min from the center of town)right next to the golf course of Tangier,northern Morocco. The property is 2000 sqm, house built appr 650 sqm with garden on the south facing the golf, build in 2001. Very well known and stylish and successful "boutique hotel" in Palmgroves of Marrakech. Featured in many architectural reviews.